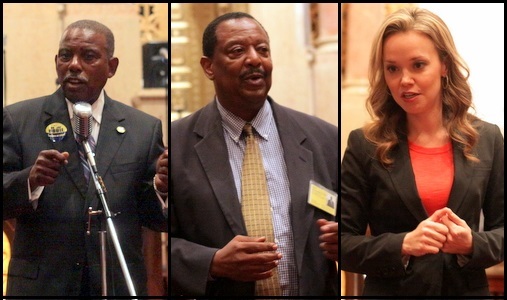 The three candidates seeking to succeed Stacy Head as the new At-Large member of the New Orleans City Council all expressed doubts Saturday about the need for a new gas-fired Entergy power station in New Orleans East in the face of residents’ opposition there. Since the summer of 2016, Entergy has been seeking the City Council’s permission to built a new 226-megawatt plant on the former Michoud site on Old Gentilly Road, but the plan has drawn opposition from both neighborhood residents in New Orleans East and environmental groups such as the Alliance for Affordable Energy. 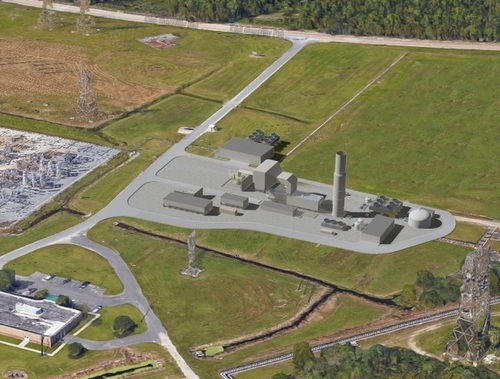 Last month, Entergy offered to scale back its plans with a smaller option with a reciprocating engines instead of combustion turbines that would generate only 128-megawatts of power, according to The New Orleans Advocate. “We are advocating for energy efficiency and demand-side management,” Heurich said, saying that reliability issues stem from weaknesses in the power grid, not an overall shortage of power. State Rep. Joe Bouie, answering first, said he is aware that residents nearby are “grossly opposed” to the plant, so he would ensure their questions are fully answered first. He shares their concerns, he said, describing himself as an advocate of environmental justice, such as preventing the Booker T. Washington school from being rebuilt until the former dump site it sits atop can be completely remediated. State Rep. Helena Moreno said hopes New Orleans will generally become a leader on environmental issues such as energy efficiency. The Entergy plant proposal needs to be reviewed by outside experts to determine whether it is actually needed, she said, before the City Council should move forward with such an important and controversial vote. Businessman Kenneth Cutno said if the residents oppose it, he will too. Entergy wastes too much money already, he said, so he promised to stand up to them on behalf of residents. “If the people feels like there’s no need for it, there’s no need for it,” Cutno said. The question came during a forum Saturday afternoon at Temple Sinai hosted by Indivisible NOLA, a progressive civic engagement group. The candidates also discussed their views on unifying all New Orleans’ parks into a single system, as well as other topics. To read our report on that issue and our live coverage of the other issues, see our report from Saturday.